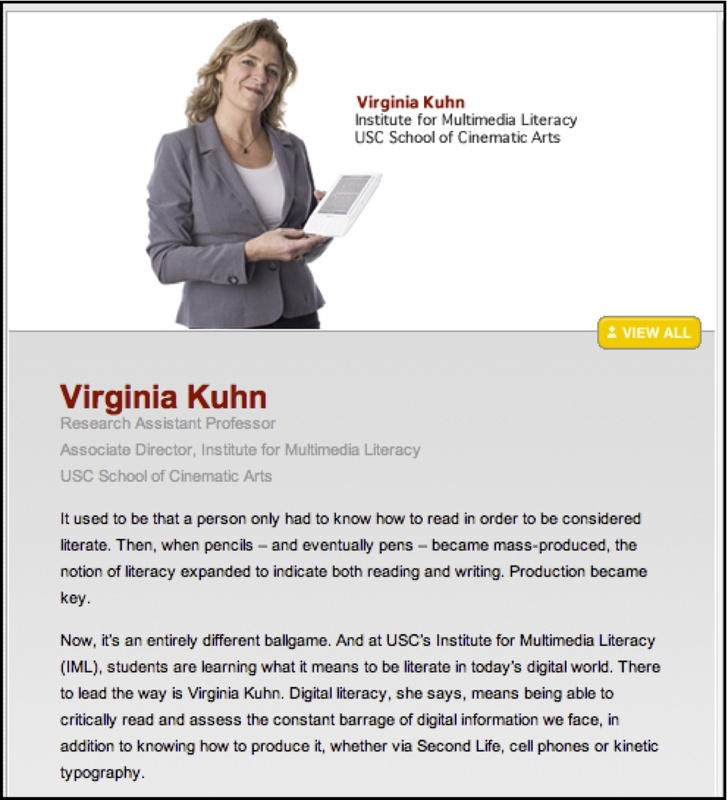 It’s been a very big year for Assistant Professor of Cinema Practice Virginia Kuhn and the Institute for Multimedia Literacy (IML). 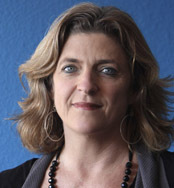 After more than five years of working with supercomputing centers, Kuhn recently received an award to pursue her large-scale media analytics project as part of the National Science Foundation's Extreme Science and Engineering Discovery Environment (XSEDE). 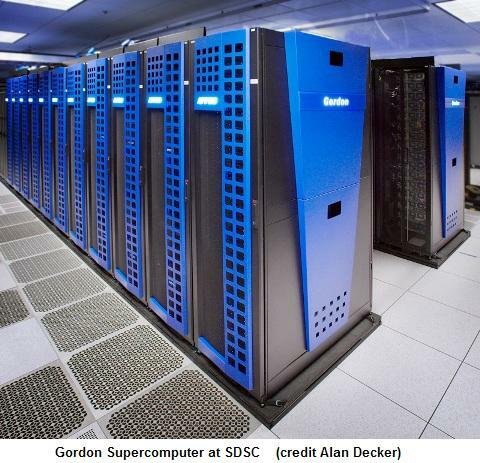 The startup allocation includes 30,000 service units on the first flash-memory supercomputer (think giant thumb drive), at the San Diego Supercomputing Center as well as one year of dedicated effort by experts at supercomputing centers around the country. Kuhn recently sat down with SCA Family Stories to talk about her work with supercomputers, the kind of students who are attracted to the IML and what it means to be “fluent” in multimedia. We should probably start with IML. Do you have a good definition of what your group does for those who haven’t looked into it? VK: We’re the organized research unit of SCA. We investigate the changing nature of communication and expression in the twenty-first century. We’re also talking about your recent supercomputing grant. Can you tell a little more about that? VK: Since the world is an increasingly visually-saturated place, these images demand critical and scholarly attention. So far that’s been really difficult because digital images are big fat files, making them tough to move across networks and also video archives are difficult to label and index. We don’t have a Dewey decimal system yet, so these vast archives are not useful. If we keep in mind that there is more YouTube footage than one can ever view in a lifetime, and there is more being uploaded everyday, and there are numerous other video sites, we start to appreciate the size of the obstacle. Is this something that hasn’t been done before? What does real time image processing look like? VK: The problem has always been that unless you have these massive video archives indexed in the same way, search engines simply aren’t useful. Sorting and indexing video is also tough because machines are lousy at image recognition—only about 30% accurate—and human tagging is too labor intensive to be viable. You know how we have the Shoah Foundation Visual History archive at USC? It took them years to index that footage because human beings had to view all the footage and hand-tag it by concept. That was the only way to make them visible to a search engine and that just isn’t an option with the rate of video being produced. But by blending the two forms—having people verify or correct machine recognition—we can make huge strides. So we’re attempting to increase the accuracy by apply several algorithms to the same footage, and then we’ll also use crowd-sourcing to further hone the labeling. This way the system gets smarter the more it is used. What's the end user's experience going to look like? VK: That's the other thing we are doing. There are very few common user interfaces right now. Each archive has its own. The ones created by the supercomputing people are very geeky. They’re hard for non-technologists to use. I tend to be one of the conduits between the supergeeks and the humanists. I’ve been working on this for about five years. Several years ago, the supercomputing centers came up with this middleware that they thought was really easy to use and that any scholar would be able to use it. It’s still really daunting, even for somebody like me who can do a little programming. The other thing that we’re attempting to do with this project is modify a supercomputing interface called Medici, so that it’s meaningful, and has sufficient scholarly and critical affordances but it is still user-friendly to a humanist who will actually be able to use it. What databases are you using? VK: We’re starting off with 300 educational and safety films from the 1950s. We’re using films from the Internet Archive for the prototyping because it’s the largest archive of films in the public domain. The other reason we’re starting with these older films from the Internet Archive is that they are simpler image files. The hope is that we can get to the point where we can index across newer, “born digital” media. They tend to be more layered. It’s far more difficult to create an algorithm for those and are even less straightforward in terms of image recognition. Let’s move onto IML in general. Is it accurate to say that IML is an honors program? VK: We have a program called Honors in Multimedia Scholarship which enrolls undergraduate students from across the university. Their major might be biology or theatre or neuroscience or business. It’s a sixteen-unit certificate program. In a students’ senior year, they create a digital, media-rich thesis project. The thesis is based in their major and they have a faculty advisor from the IML, and one from one of their home disciplines. These projects are very akin to a master’s thesis. They tend to be very adept and very ambitious. They also help students after graduation, helping them find jobs, or helping them get into a graduate program. Many of our students go onto advanced study. That’s kind of our flagship program. We also have a twenty-unit Digital Studies minor. Students take sixteen units from the IML and then four units outside of the IML. We teach graduate classes too, and we’re looking into a graduate certificate. We’re investigating a possible undergraduate major that is similar to iMAP, the SCA interdivisional doctoral program that combines theory and practice. iMAP was, in part, based on the IML’s Honors program, so it makes a certain kind of sense to extend the program this way. What kind of students is the IML right for? VK: We have all kinds of students in IML programs. I would say it’s best for students who are really innovative in their thinking. Forward thinking, experimental and willing to take risks. It’s not a particular type in terms of their background or previous experience. We have many students who are very good at a variety of things, but who can also advance in certain areas at the IML For instance, if we have students who are good in the arts, they will acquire a sense of the algorithmic, the “under the hood” aspect of digital technologies. Likewise, students from engineering will benefit by getting a really good sense of interface and design issues. One of the major benefits for students at the IML is they get to work closely with faculty. We stay small. We stay very engaged with our students. We involve them with all of our research and our practice. The other thing that students report liking is that they are allowed to interact with students from very different majors whom they normally would never meet or work with in their four years at USC. They’re able to interact with students from very different backgrounds. They’ve really said that it’s been beneficial because it helps them see things from a different perspective. If I’m a theatre student and I have to justify my use of digital media to a student in physics, then I’m going to be better at what I’m doing by either confirming my approach or enhancing it. I’m also going to be more inventive and maybe get better at what I do. Is the concept of literacy in multimedia the backbone of the IML? VK: Literacy is a difficult word because it implies a functional state. What we mean is probably closer to fluency. I think the common thought is that students are engaging with all kinds of media outside of the classroom so they don’t need formal training in it. What we find is that students are engaging with this media but not in any type of critical fashion. We try to bring the contextual issues into play. That allows students to become more than passive users of media but active media creators both in their own education and in the technologies that they will be involved with out in the world. The IML seems like a really unique part of the School of Cinematic Arts. Do you find yourself having to explain what you do often? VK: It is, in a way, part of every division’s edges. A little bit of animation, a little bit of interactive, certainly a little bit of production – not producing Hollywood cinema – producing digital arguments. Web based, video arguments. In some ways, we’re very different from the Cinema School proper, but in some ways, we’re right at home. We’re interdivisional and maybe we occupy the space between each division. Our origin story is that we were started in 1998 after a conversation between Dean Daley and George Lucas in which he noted that students in the (then) late 20th Century must be able to speak with images the way that they speak with words. We have since refined our role, and our focus on images has expanded to include social networks and other types of interactivity, as well as facets such as algorithmic literacy, collective intelligence, mobile technologies, tangible computing and information visualization. In many ways though, we’ve retained our roots in that we understand that the visual to be exceedingly important to culture today. Its interpretation is crucial as well. If there is a student that’s thinking about applying to the IML, do you have any advice? VK: I would say that they should take one of our foundational courses. Our courses don’t assume previous media experience. We have many two-unit courses that focus on topics such as digital storytelling, remix culture, or transmedia. We also have a foundational 4-unit class called The Languages of Digital Media. They will get a good sample of all of the different strands that we have at the IML. Once they do that, there are a range of great and interesting courses, from New Media for Social Change to Creative Coding for the Web to Race Class and Gender in Digital Culture, which satisfies the diversity requirement. But even if students choose not to continue, they’ll have completed a great course that will arm them for their college career as well as their post-college aspirations. The thing is to just try it. Just jump in? VK: Students have a hard time finding us, but when they do, they tend to stay.